Pull together an array of cloud accounting and CPA technology authorities in a room, and there’ll be much differing of opinion about the speed of change among accounting practices and its implications. 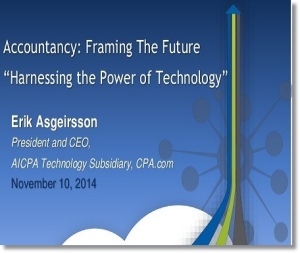 That’s basically what Bob Scott of Progressive Accountant did in a recent special update about the cloud and CPA technology, in which he interviewed a cross-section of thought-leaders in the profession, including AICPA president, Erik Asgeirsson. At Cloud9 Real Time, we concur. We believe that cloud computing and related emergent CPA technology make client accounting services a tremendous growth opportunity for practices. Asgeirsson says there’s no question that they do, but there’s significant foundation-work to be accomplished to ensure that the “trusted business advisor” synergy works. As Cloud9 president Robert J. Chandler often says, CPA technology is only part of a cloud accounting practice – and it’s the easiest part. Accounting firms that wish to take advantage of new CPA technology and cloud tools and develop optimal collaboration with clients must evaluate their key strengths and expertise, review all business processes and generate a comprehensive game plan. If you need some advice on how to do that, at Cloud9 Real Time we’ve got the resources to help you take the next step forward. 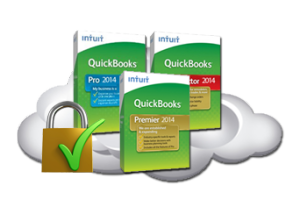 Cloud9’s private and shared hosting QuickBooks Remote Access solutions garnered more industry awards in 2012-14 than all other Intuit cloud service providers combined, including the Sleeter Awesome App, the K2 Quality Technology Award, the CPA Practice Advisor’s 2012 and 2013 Reader’s Choice Award, and the 2012-13 UP Award as one of the Best Cloud Hosting companies, to name a few.